- The negative 14 degree weather we've been having. Which wouldn't be awkward if it wasn't for the strange things it does to the inside of my nose. - Brushing your teeth with an electrical toothbrush. And turning it on the second before it's inside your mouth. Toothpaste mascara burns the crappins out of your eye. - An email correspondence in which I totally thought I was talking to a girl the whole time. Turns out it's a guy. I called him Chica, and then he told me. - Thinking someone is husband, and standing infinitely too close to them until I look up and see that they're giving me the stink-eye. Punk. You smell the same alright? - Trying to type and talk at the same time. I should never do this while I'm writing emails. Cause it merits results like, "Dear ______, It was so good to hear from you! Would you pass me that water bottle, I'm thirsty." - I cannot watch the Siemens commerical without giggling a little. I'm 5 like that. - The fact that I could probably spend a whole hour dissecting my pores in one of those freaky magnifying mirror thingies. It's gross and strangely addicting. - Sitting on a leather couch and it makes a funny squeaky noise like you ... you know ... did it or something. So then you're like, "that was the couch" and people are like "right" and you're like "no really. see watch" ... and you try and imitate the noise, but can't do it to save your life. so then everyone shakes their head at you and you run away. - Holy BLUE right!? That reflective snow is magic on the eyeballs. Or maybe it's the cold and they're just frozen over. Ice Ice Baby! - Husband and I planning our spring break trip together. Words cannot describe how excited I am to get out of this ice box. - Scraping my windshield off with a credit card. Actually works better that a real ice scraper. - Husband still unconsciously rubbing my legs ... even though they desperately need to be shaved. Ah. The blissful comfortability of marriage. Link up your Awkward and Awesome posts here!! Let's see em dudes! Also, if you're worried about having more than one link up there, just create an Awkward and Awesome label for your blog, and then link that up ... rather than linking up each individual post. Hahaha, I love that not shaving your legs is in the "Awesome" section! I'm guilty of the same thing, but my boyfriend of six years doesn't seem to mind either. Aahahaha. I love your awkward and awesomes, so cute! I seriously hate the couch noise, but for me it's in my huge leather seats that we have in my business school classes. so. awkward. and I swear people must think it's me! Ahh! Adoring the fuzzy blue homemade looking Gap gloves. Love your blog! awkward list is longer!! that's not so good though! I am seriously loving your blog!!! Think I may give you A/A Thursdays a try! always such great lists! love this. and you reminded me...i need to get a haircut too. hmmm. Ah! I love the coat! I'm from MN and still don't have a cute winter coat and this is the perfect inspiration! I was just wondering if blogging about my frozen nose insides would be TMI! Thank you for giving me permission. I feel ya on the -14 and needing a tropical vacation. Can't wait to see what you're doing to your hair! As a yet unmarried girl, I was happy to read the shaving the legs comment. Oh, and the shaving legs comments... so true lol. just posted my first AA!! i did have some awkward moments... maybe some tmi, but fun non the less! haha! so funny. made my day. can we talk more about the amazing bag and boots? i adore both so much. i found the boots online, but what about the bag? the link you posted says the website will be up in fall 2010? Sydney, I really like your hair parted on the side like that!! It looks great both ways, but this is nice for a change. 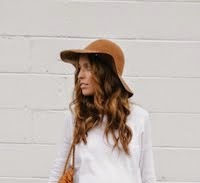 I just discovered your blog and I love it- you're one funny girl and you have amazing style. Love it. I live in Orem, UT and and am also freezing my tush off, although it's not quite to -14... more like +14. But still, anything under 20 degrees is unacceptable in my mind. It makes me get all sorts of hateful and plan imaginary trips to California. Anyway, let's be blog friends! your posts are always little nuggets of happiness! your eyes do look so blue in these pictures and it's utterly gorgeous!! and i'm loving your bag more and more. can't wait to see what you do with your hair! You are so beautiful!!! You are is so shiny nad beautiful!! "Holy BLUE right!? That reflective snow is magic on the eyeballs. Or maybe it's the cold and they're just frozen over. Ice Ice Baby!" Day. Made. Loving the hair and those sweet mittens! Stay warm darling! and yes, last time i even held the arm of a man asking him if we could buy some chocolate cake, and when i looked up, it wasn't my man, but a guy who was smiling back at me :) oooh! shame! shame! shame! You are SO SO SO freaking gorgeous!!! Girrrrrl, you go on and rock that side part! love your bag! and those adorable mittens! HOW are you so pretty, HOW hmm? the face expression in the first photo? priceless. & the way you did your bangs makes you look mighty fine. Love this outfit, girl. I am almost 8 months pregnant and miss wearing a coat, so bad!! None of mine will zip over my huge belly, and I don't want to spend the money on a maternity one I can't wear in two months. I just did a post on maternity fashion and some outfits to throw together if you'd like to take a peek. I know you mentioned in your FAQ that you two would like to start a family sometime soon. I'm normally not at all a fashion blogger, so I was pretty proud of my half way decent effort :) I definitely didn't get any beautiful Sydney-shots, but I think I did okay! ahahaha cute list! - Sitting on a leather couch and it makes a funny squeaky noise like you ... you know ... did it or something. So then you're like, "that was the couch" and people are like "right" and you're like "no really. see watch" ... and you try and imitate the noise, but can't do it to save your life. so then everyone shakes their head at you and you run away. I was actually about to say how extra blue your eyes were! Sadly, snow doesn't seem to accent BROWN eyes. I'll have to take that up with my parents for giving all my siblings blue eyes when I got stuck with the brown ones... what's up with the gene pool?? And I think I'll join the Awkward And Awesome Thursday ordeal, considering I laugh my lungs out! People always address me in emails as Mr. too. It's always so awkward. Hahaha.....the nose thing! I know exactly what you are talking about. I think you have pretty blue eyes. OMG, I know exactly what you are talking about with the funny things the cold weather does to your nose! When I went to BYU-I and felt that sensation for the first time, I had no idea what it was. Growing up in California, I had never been exposed to weather that cold. I remember I kept checking to see if there was stuff hanging out of my nose, but no. So weird! I just realized about everyone has said that about you. HAH! Awesome: A man riding a bicyle wearing a motorbike helmet. As always, terrific list. I love the shaving your legs thing. I'm so bad not to shave and hubby doesn't mind a bit! Can't wait to see the new hair! OMG my hubby works for Siemens!!! Let me tell you, he's been there for almost 2 years and the jokes just don't. get. old. Love the side swoop bangs! Tres chic! Re: the mirror addiction. Also equally addicting: tweezing! Love love love reading awkward & awesome thursdays! you're so funny! & oh my goodness, i can't believe how blue your eyes are in these pic's! amazing! :) definitely awesome! yay! We ALWAYS use the credit card to shave ice of the car. ;) No worries, I hardly EVER shave my legs in the winter. :) My legs are softer when I start shaving again in the spring. lol. i just wanted to tell you that i have recently discovered your blog and i'm in love. i love your style. i love that you shop in normal stores like most of us women do. i love the way you write. totally awesome!!! thanks for putting a smile on my face. I really love the front of your hair in these pics. New bag? cause I love all large black bags! I love not having to shave my legs because I'm married! My husband doesn't care one bit! Your eyes look amazing! and I love your hair like that. Haha I was going to jump on here and write something about how crazy cool your eyes look - just from the first picture. Then I kept scrolling down, and you wrote about them! Nice job, mind reader! Hmmm, im having problems posting up your button on my blog. EEEK! Not techy after all! love your blue eyes - amazing! chica?! that was cracking me up! get bangs! get bangs! you'd be soooo cute! I LOVE your Awkward and Awesome posts! They make me laugh. I think I'm going to start one on my own blog on Fridays.. I even had my own awkward moment today that will definitely be going on there. Your blog is SO inspirational to me. I've been reading it for about 2 months and your outfits/posts/everything is just AMAZING and you've inspired me to start my own blog. Thank you so much for being awesome! haha! I can't believe you were using a credit card to scrape your windshield! I actually did something so similar last week! Love your mittens! So cute. Can't wait to see what you do with you hair! Oh, and good tip about the credit card for scrapping off ice! Gotta try that. I love your hair like that! Your eyes are soooo blue today, BEAUTIFUL. I love Thursday! You hit the nail on the head with everything! Great outfit too - the mittens are so cute. Totally did the credit card thing yesterday.. I was desperate. And, it does work! You look so cozy and warm!! I love that bag. I need one to carry my camera with me at all times!! You are too gosh darn cute lady. I'm digging this new layout. Looks real profresh. That's like professional and fresh at the same time. doesn't get any better than profresh... though that sounds like it may be a toothpaste... don't get it in your eyes. I feel like I shave my legs more that I post outfit photos. It's like I've been wearing jeans, and pants too much. I think it's time to shave now. I can't wait to see what you do to your hair. holy blue is right. gorgeous really. How do we delete our old posts in the linky and just have the one with the label for all of them? Oh my gosh, your eyes are fierce! Where did you get those super cutie mittens? Can't wait to see what you do with your hair! I'm going as well as looking for more of an ombre effect! Love your mittens btw. credit card scrapper - been there - done that - very often! This is one of my favorite looks of yours EVER. So simple, and you still manage to look stunning. Love it! Love your bangs! You are just too cute!!! i totally relate to typing/ writing and talking at the same time and mixing the two..ha! love your mittens! sydney, you crack me up! so, with the whole you e-mailing someone you thought was a girl, i did that too only i was chatting with them! we met through blogger and i was doing some design work for said blogger and i thought the whole time, that it was a girl and then he said something about him being a boy and it was like whoa! awkwarrrrrd! A. i. want. that. jacket. B. your side-swept bangs look awesome. I was recently introduced to your blog (I went to high school with Sarah from For the Love)and just had to comment to say you are adorable. I love your style so much, I try to emulate the same sort of style but wish I had your wardrobe...you make me want to go shopping right now...the hubby wont' like that! Love that bag!!!! Now, that is AWESOME!!! sydnaaaay. what up g! g, for girl, you know! love this! too cute! I am really enjoying your sweeping bang and effortless up-do. I can't wait to see what you do at your hair appointment! this is what makes thursdays so great!! you are so cute! love your mittens!! Your eyes look gorgeous! Love these Awkward and Awesome posts. Love the bangs! And Ive totally done that closeness thing with the wrong "husband" before in the grocery store...AWKWARD for sure! and seriously, this weather. i think my nasal fluid freezes up and then whenever i go inside it melts. gross. The leather chair thing is SO true! What happens to your nose when its cold? Mine gets a little runny. Your eyes look SO PRETTY! SUPER blue!! love love love your dramatic side swept part and cuddled up coat! ha! I love this post, and your blog! your awkward and awesome posts are the highlight of my thursdays! Awkward: Taco Bell trying to provide a diet plan, because I thought the exact same thing! so funny! Can't wait to see your new hair! Post asap! love your mittens, it's never cold enough in sydney (lol, sydney! ), australia to wear them. goodluck with the hair :) you'll look fantastical! I feel your pain... I was scraping off a 1/2 inch of ice on the windows of my car (we just had an ice storm.. the joys of living in the south). It wouldn't even budge and neither would the door. Everything was glued shut! I love this! Your blog is adorable, and I love your awkwardness and awesomeness this is too cute! :) Love your bag by the way its darling! That's fantastic isn't it? The feeling that you know you are going on vacation soon! and yes, Mickey Blue Eyes indeed! Haha! I scrape my car with a Lotion tube from Bath and Body Works. Also true that it works better than an ice scraper. For some reason I never go to famous footwear. You've definitely motivated me to GO FIND THOSE BOOTS! the worst for me would be the squeaky chairs you get in school which squeak like mad when you move the slightest bit and when the squeaking happens during a quite time... like exams. you look beautifull!! so natural, awesome outfit! WHY would any boy give you the stink eye for sidling up to them??! You'd think it'd make their day. I bet he went home and listed it in his 'awesome' section. That bag is AMAZING Syd! your blog is really personal and you are so likeable! I'm going away from internet for the weekend and I'm dying to know what you did to your hair! Bangs? Short? Red? Please oh please post pics! Could you tell me something though please?? When did you know what your blog to be about because looking at other entries from a year ago it wasn't about your amazing style. When and why did that change?? Please reply! I would love to know! Nerdage here, but snow actually has a tinge of blue. It looks white because of insolation and reflection. I second Sarah Christine's comment! I love how you share your style and fashion sense & I'm curious about that too! Love this outfit and can't wait to see your new hair! Also, I third Sarah Christine's comment! Ohh, I love your new cut hairrr! i loooove your hair parted on the side like that. sooooooo cute. and thursdays are my favorites in the blog world because of YOUR posts! those mittens? i die. i want them pronto! Man oh man, I need that bag. Awkward: Having my boss say to me, "So...I really want you to do some more public speaking and training, but I didn't really want it to happen like this. Can you give a four-hour contracts training on Wednesday?" last Friday. k, I just found your blog and have been reading through your posts. You made me laugh so hard I cried! You are funny sister! And I love the post your hubby posted...haha! Keep the humor of everyday life coming! Oh, and totally relate about the leather couch thing! hahahaha! Funny! Just stumbled upon your amazing blog via Pinterest. If you have the opportunity can you please tell me the name of your coat from Yesstyle? I can't find it on the site. Thanks so much! You just rocked my night!